On its way to acquisition by Bristol-Myers Squibb (BMS), Celgene continues to pursue its own cancer-focused collaborations, with a pair of biotechs announcing the partnerships today. Celgene has secured exclusive options to two Kyn Therapeutics clinical programs under the companies’ global strategic collaboration to develop novel immuno-oncology therapies. The biotech giant agreed to license Kyn’s aryl hydrocarbon receptor (AHR) antagonist program and its kynurenine-degrading enzyme or “Kynase” program. AHR and Kynase have shown associations with immunosuppression in a range of tumor types through multiple cellular metabolic mechanisms that modulate both innate and adaptive immunity. As a result, they are compelling targets for investigative therapies, especially in patients who do not fully benefit from checkpoint inhibitors and other current cancer treatments, Kyn and Celgene reason. Celgene has agreed to pay Kyn $80 million cash upfront and make an equity investment in Kyn. For each program, Kyn is responsible for R&D activities through Phase Ib, at which time Celgene can opt-in to lead and fund global development and commercialization of the licensed programs. If the programs are successful, Celgene would also pay Kyn undisclosed “substantial” clinical, regulatory, and commercial milestone payments, as well as tiered royalties on worldwide net sales on products. Boston-based Kyn launched in December 2017 with a $49M Series A funding provided by OrbiMed Advisors and Atlas Venture. Separately, Celgene has also secured an exclusive option to in-license worldwide rights for cancer cell therapy candidates that incorporate Obsidian Therapeutics’ Destabilizing Domain (DD) technology for the controlled expression of IL12 and CD40L. The two immunomodulatory factors, according to Obsidian, have the potential to augment the power of adoptive cell therapies but require precise control to optimize their therapeutic benefit. Celgene and Obsidian have inked a multi-year strategic collaboration to discover and develop novel, regulated cell therapies based on Obsidian’s DD technology. DDs are small, human protein domains designed to confer conditional stability to a fused payload protein that is engineered into a cell or gene therapy product. The fusion protein is rapidly degraded in the absence of a specific small-molecule ligand, whereas the presence of the ligand enables the fusion protein to become stable and functional. Obsidian says its approach can equip engineered cell therapies with functions that can be precisely and dynamically controlled through small-molecule medicines that are currently approved, readily available, and can be dispensed by physicians. The collaboration with Celgene—whose value was not disclosed—is the first DD-focused partnership with a major biopharma for Obsidian, which is based in Cambridge, MA. In return for the exclusive option, Celgene has agreed to pay Obsidian an upfront payment and equity investment, as well as potential future milestone and royalty payments. For Celgene, the collaboration with Obsidian represents an opportunity to boost its cancer cell therapy pipeline. 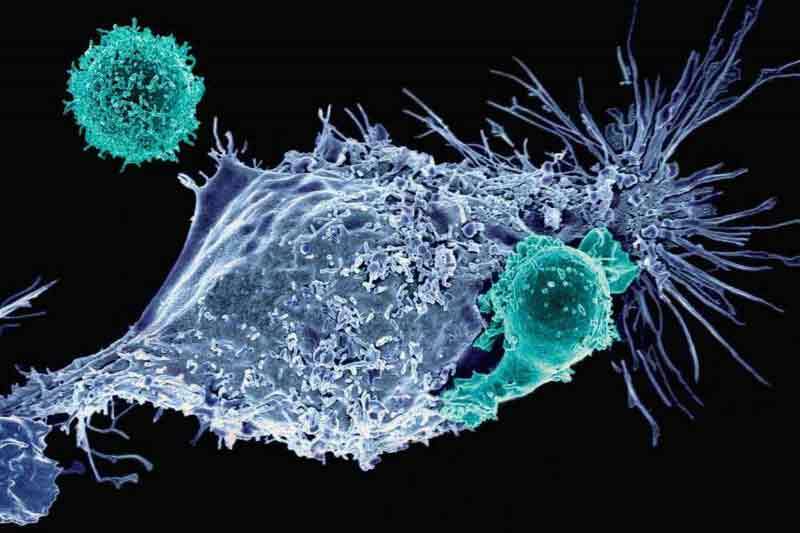 The biotech giant estimates it will launch two cancer cell therapies in 2020. One is lisocabtagene maraleucel (liso-cel or JCAR017), being developed for diffuse large B-cell lymphoma and chronic lymphocytic leukemia—and inherited from Juno Therapeutics, which Celgene acquired last year for $9 billion. The other cell therapy is bb2121, anti-B-cell maturation antigen (BCMA) CAR T cell therapy bb2121, which Celgene is co-developing with bluebird bio as a multiple myeloma treatment. On December 2, Celgene and bluebird reported bb2121 generated an 83% ORR in 12 heavily pretreated multiple myeloma patients—while Celgene also said liso-cel generated an overall response rate of 81%, with 43% of patients showing complete response, according to initial Phase I/II data released December 2. Celgene inherited JCAR017 when it acquired Juno last year. Liso-cel and bb2121 are two of five “potential blockbusters” in Celgene’s pipeline, as labeled by Celgene’s Chairman and CEO Mark Alles on October 25 in releasing third-quarter 2018 results. Celgene cited the five potential blockbusters in announcing its planned $74 billion acquisition by BMS on January 3.